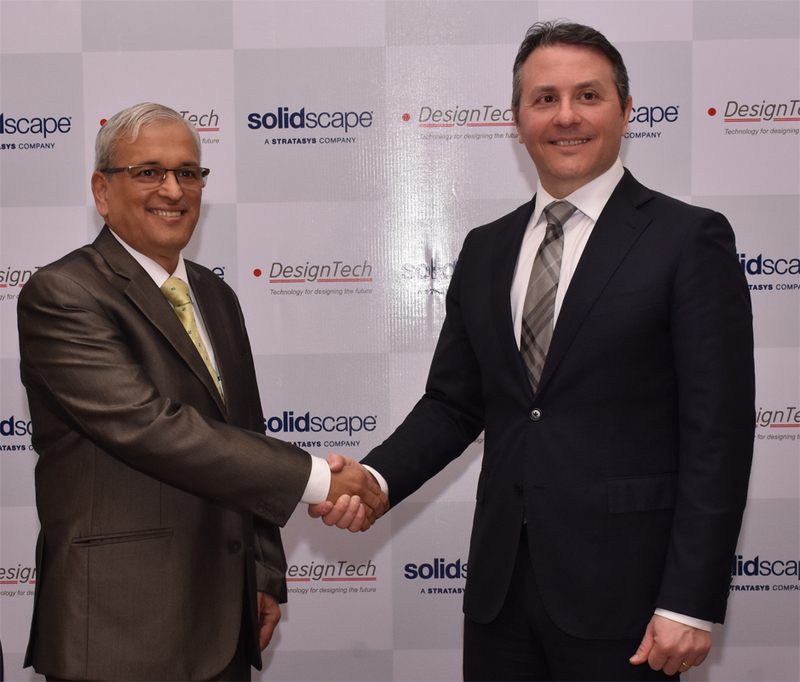 DesignTech Systems Ltd., a leading name in CAD/CAM/CAE, PLM and Additive Manufacturing technologies, has today announced a strategic partnership with Solidscape®, Inc., for the distribution of high precision 3D Printers for manufacturing of wax patterns in India, Nepal, Bangladesh, Maldives, Sri Lanka and Bhutan. DesignTech will develop the infrastructure to support the expansion and adoption of 3D printing custom manufacturing solutions. Solidscape 3D printers are known for their ability to produce ultra-fine feature details and are considered a premier technology for applications like custom jewelry manufacturing, high precision casting, and advanced biomedical research. Solidscape high precision 3D printers produce the most accurate, detailed models with the industry’s highest quality surface finish. The models are printed with uniquely developed build materials that are specifically formulated for 100% metal castability. This is used primarily for investment casting (lost wax) but is also superior in the creation of molds and tooling for manufacturing. The system also creates a dissolvable support structure automatically thus allowing for the most intricate, unimaginable 3D printed models to be created. Solidscape 3D printers eliminate the need for cleaning and post processing as it dramatically reduces the manufacturing workflow while maintaining quality, detailed wax patterns that are ready for casting. Superior casting properties include fast meltout, no ash or residue, and no thermal expansion. Solidscape 3D Printers find applications in industries such as Jewelry, Automotive, Industrial Automation, Wearable Fashion, Toys Industry and Education.